The Williams Island community is one of the waterfront communities belonging to the city of Aventura, found east of Biscayne Boulevard. Inside the island are seven distinct condominiums that are each referred to as Williams Island but distinguish themselves by a number, Williams Island 7000 being the last in the septet. The 7000 building is 32 stories tall and features 299 Aventura condos for sale located near the northeastern side of the island. Like the rest of the Williams Island condos for sale, Williams Island 7000's amenities are largely the same ones found throughout the entire island community and consist of things like the Island Club, a spa, a Marina & Yacht Club, tennis and much more. You'll also find a heated swimming pool, billiards and a fitness center within the 7000 building, among other features. 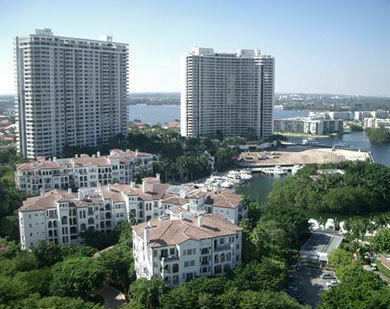 The units have 1,580 to 4,790 square feet and are available with two, three, or four bedrooms. You'll find a lot of things to do on Williams Island if you're not looking to stray too far from your condo home. Because Biscayne Boulevard is so close to Williams Island you'll still find it quite easy to explore what's near the community like Aventura Mall which is barely ten minutes to the north, Sunny Isles Beach to the east or Miami Beach to the southeast of Williams Island 7000.